Craft House is proud to announce to appointment of Megan Gray Stromberg as General Manager for The Battery in San Francisco. 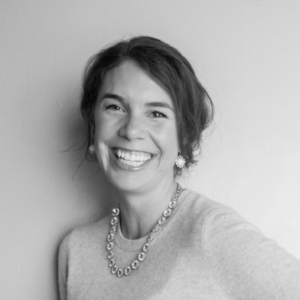 It’s with great pleasure that we announce the appointment of Megan Gray Stromberg as the new General Manager at our client's private club, The Battery in San Francisco. We've known Megan for 20 years and have had the great pleasure to have her as part of the Craft House team since 2015. Starting March 2018, Megan will be the General Manager of the 58,000 square foot private club featuring 14 guest rooms, food and beverage, event space and strong philanthropic programs spearheaded by founders Michael and Xochi Birch. The Battery is one of Craft House’s repeat clients, and we couldn’t be happier to see Megan join their team in San Francisco. Megan is a Colorado native with a degree from the Cornell University School of Hotel Administration and sixteen years of hospitality experience including leadership roles at independent restaurants, luxury hotels, and ownership of family-run establishments. Megan was Director of Food and Beverage for St Regis New York and Atlanta before leaving Starwood in 2013 to return home to Colorado where she opened the BARley in Steamboat, Colorado, a beer garden and bar food destination featured in the New York Times. Prior to relocating to San Francisco to become the General Manager for Craft House client, The Battery, Megan worked with Craft House as consultant and director. She also sat on the Board of Directors for The Colorado Restaurant Association and was President of Les Dames d’Escoffier Colorado Chapter.